Is My Heart is Causing My Chest Pain? 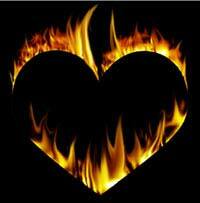 Heartburn is a pain in the chest, but is a type of misnomer. True heartburn is related to refluxing acidic materials back into the esophagus where is passes through the chest, which causes a burning sensation. Even though the name is heartburn, the condition actually has nothing to do with your heart’s health. The name of this condition likely was developed when people mistakenly confused reflux pain with a heart attack. A heart attack is a condition in which the heart receives a decreased amount of blood as a result of blockages or other reasons that cause decreased blood flow. The heart is a muscle, and when it doesn’t receive enough blood, it can’t pump normally and can become injured. Inadequate blood flow to the heart also causes discomfort or what people term chest pain. The chest pain occurs on the left side of the chest or behind the sternum, which is the breastbone in the center of your chest. But behind the sternum and the heart lies another organ, the esophagus, where it connects the mouth and the stomach. For this reason, the pain caused by heartburn also causes “chest pain” and is sometimes confused with the pain associated with the heart. The pain can be very similar in quality, but it has drastically different consequences. Reflux can be painful and dangerous over time, but heart pain (sometimes called angina) can be fatal. These two types of pain occur at different times, which can give you clues as to the source of the pain. Angina, heart-derived chest pain, or heart attacks usually occur after the heart has been stressed. It can occur after periods of exertion, for example, after running, walking long distances, swimming, or shoveling snow. The pain is usually associated with nausea, profuse sweating, and maybe even a feeling of lightheadedness. This type of pain can travel to the arm or jaw and may cause numbness or tingling. Angina may decrease after a period of rest, but it is usually not responsive to other remedies such as antacids. On the other hand, heartburn chest pain commonly feels like a burning sensation that usually occurs after you eat a meal. This pain stays in the chest area and can change if you change your position, depending on where the acid is refluxed. This type of pain may respond quickly to remedies such as antacids. As you can see, these are two different types of pain that have very different qualities and consequences. The typical differences are not always as clear as mentioned here, as with anything in life. The two types of pain can almost blend into one another, so it is important to seek out the cause of chest pain to make sure you are not putting yourself at danger by leaving a heart problem unattended.